Feeding your infant is an adventure. 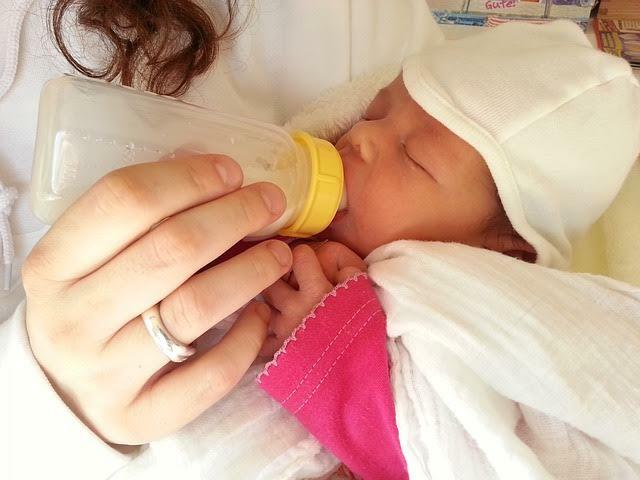 There’s a variety of methods to choose from: breast-feeding, formula only, bottle-feeding, or a mix of a lot of things. Of course, soon you start getting into even more adventurous territories when your baby starts growing teeth, and that’s a whole new world to get into. Here are a few things to consider when you’re feeding your infant. Breast milk is the best option for your baby. It’s jam-packed full of nutrients that aid your baby against disease (including respiratory infections and meningitis) and other defects. However, if that is not an option, make sure you choose an iron-fortified formula toprevent anemia.There will be people who disagree and say that breast milk should be the only food your baby consumes within the first four months of life. However, sometimes babies will stubbornly refuse breast milk (I should know, because that’s what I did!) and formula is a suitable substitute. If you do end up choosing to feed your baby with formula, make sure you educate yourself about the kinds of formula that would be best for your baby’s body type. Budgeting for your baby can either be easy or difficult. Either way, it needs to be done. Figure out what unexpected costs may arise. Food figures into this as well. If you’re feeding your baby formula, figure out the baby formula cost. That can add up quite fast, and you want to make sure your money is going into formula that will be utilized to its fullest value and potential. Powdered formulas are the least expensive option, and you can buy those in bulk. If you have a partner raising your child with you, make sure you two understand each other’s parenting styles. Your partner needs to know how you’re choosing to feed your baby, so you can work out how to take care of your child. If you’re breast-feeding, that doesn’t mean your partner is off the hook during those late nights. Your partner can bring you the baby and stay awake with you during the issues that will inevitably arise. If you’re feeding your baby formula, your partner also can feed your baby during the night while you sleep, and you can switch shifts. While you and your partner may have had casual conversations about whether or not you would send your child to preschool, now is the time to figure out how to allocate your feeding schedule. Try to communicate with each other what your styles are and how to evenly divide the work with each other. If you evenly divide the work and always look out for the other person, they won’t feel the burden and won’t feel resentful. Yep – everyone’s an expert on parenting these days. It often calls for unsolicited advice, which is often frustrating and annoying, especially if the person giving it does not understand your situation. However, sometimes you’re just not sure what to do. Ask advice from people who understand your personality and are veteran parents themselves. They’re experienced with the feeding process, and will know how to help you understand what decisions to make. However, at the end of the day, this is your child, and you have to make the decision that’s best for you and your family. These are just a few suggestions. There’s a lot of advice out there and it’s hard to decide what to do sometimes. However, as long as you are educated about what you’re getting yourself into, have budgeted for your future family member, and have communicated with your partner, things are going to work out. It’ll take a lot of trial and error, but humanity has managed to survive so far, even with all the imperfect parenting that exists.